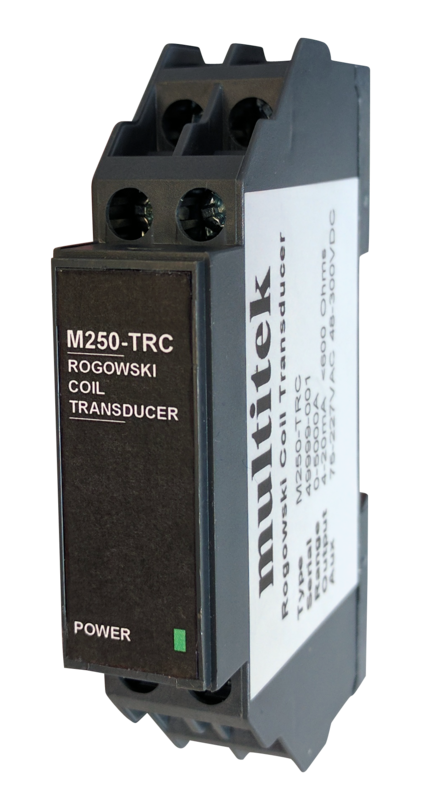 The M250-TRC converts the output from the M240-RCM MultiCoil (Rogowski coil) to either a DC or AC output which is directly proportional to the AC current being measured by the MultiCoil. Available DC outputs are 0-1mA, 0-5mA, 0-10mA, 0-20mA, 4-20mA, 0-5V, 0-10V, 1-5V DC. This product is also available with an output of 0-333mV AC. Isolation: 4kV between power supply and input/output. Output is not isolated from input until the coil is connected. The coil provides isolation.